The fundamental right to see Shah Rukh Khan and Anushka Sharma-starrer Zero is denied to most in the disabled community. If I would have gone to watch Shah Rukh Khan’s film Zero with Coca-Cola and popcorn, I would have to walk out within minutes. I am a disability rights advocate for the hearing impaired, and I would not have understood a word of Shah Rukh Khan’s dialogue on screen. Because PVR confirmed to me before I bought the tickets that the movie did not have English subtitles. For a movie about disability, you would think they would at least give subtitles for those who need to access and understand the important message Zero is aiming to spread all over India. When the trailer for Zero came out, there was hope and excitement within my community, People with Disabilities. Despite my misgivings from past experiences, this movie, I thought, would be sensitive to the needs of people with all disabilities. 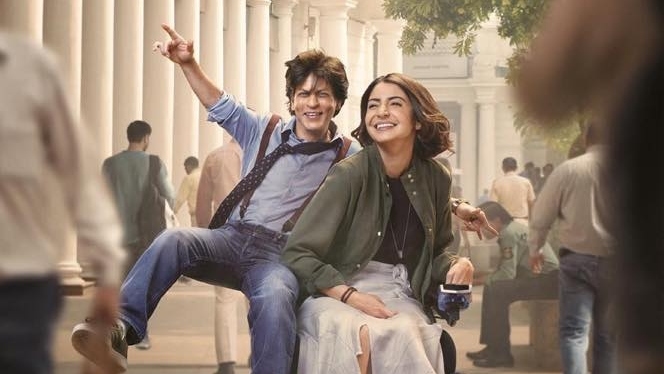 “The characters [of Zero] here are human beings with hopes and aspirations, shades of black and white, and happen to have disabilities,” Nipun Malhotra had written after watching the trailer. I won’t lie, coming from a leading disability rights activist, his response filled me with hope. The movie features Shah Rukh Khan playing a character with dwarfism, while Anushka Sharma plays a woman with cerebral palsy who uses a wheelchair. I began looking forward to how this film would convince Indians that People with Disabilities experience challenges in finding love just like anyone else. Despite the Rights for People with Disabilities Act 2016 stating that “persons with disabilities have access to electronic media by providing audio description, sign language interpretation, and closed captioning,” the fundamental right to see Zero is denied to members of my community. Isn’t it ironic that Bollywood positions itself as being inclusive by bringing People with Disabilities to the mainstream, and yet fails to provide access for this particular movie to the very disabled community that it portrays and glamourises on screen? It makes us feel like mere tokens being used to market ‘sensitivity’ in the film industry if they aren’t taking substantive measure to actually include us. Shah Rukh Khan can donate 50 wheelchairs on International Day of Disabled Persons, but this is an example of a temporary ‘fix’. What about actual permanent change – where equal access is practiced in India every single day? After the disappointment of not having English subtitles for blockbuster films such as Padmaavat and Hichki, I decided to create a bilingual (written English and Indian Sign Language) survey to be sent to the public in India. Within two weeks, I received about 4,000 responses from individuals who are both deaf and non-deaf. As high as 84 per cent of the respondents said they ‘do agree that production houses should provide subtitles with movies for better accessibility for the deaf and hard of hearing community’. Another question I asked was, ‘How do you think subtitles benefit the hearing community?’ The three top reasons stated were: Increase in understanding of dialogues, enhancing vocabulary, and improving reading skills. My question is: How much longer do you want us to fight for the fundamental right to just be able to go to the movies without any barriers? What more evidence would it take for the majority of us to realise that this is a source of constant discrimination? This is a chronic issue that needs to be fixed. The Rights of Persons with Disability Act was passed in 2016. It is now December 2018 and yet, nothing much has happened to resolve this issue. Where is the accountability for following up on what was promised? Well, I am here to advocate, along with you and others, for the rights of everyone to go to the movies. With support, we can start a revolution in accessibility. Dr Alim Chandani is a deaf rights activist. If this article is absurd, then all our ideals about equality, human rights must be absurd then! The right to breathe, eat, study etc? Think of a population of more than 70 lakh people who do not have access to audio- dialogues, music, radio, news everything you hear everyday- what do you recommend we do to resolve this? Firstly, You haven’t understood the concept behind the movie leave about understanding the message. Secondly, you have created expectation in your mind about how you will see “challenges and all things”. Lastly, enjoy the movie as an entertaiment purpose if you get any good message take it otherwise kust see the movie or walk away. Dear Sameer, Imagine watching this film on mute, without dialogues, music, songs etc. I am sure even you wont understand the movie! Thousands of Deaf and/or hard of hearing cannot watch this and all other movies, however significant the message might be! It is not just movies but even Television, news, every serial or series you watch. It is not an expectation but my fundamental right to have access to entertainment and recreational facilities like you do.